Join in the great tradition of sending Navels for the holidays! For this special time of year, there’s no sweeter gift. Just wait until that first delicious bite of the full of sun-drenched flavor Navel. And they’re so easy to peel and seedless. This famous favorite that many call the ‘Holiday Orange’ is guaranteed to spread cheer. Looking for Navels and Grapefruit? 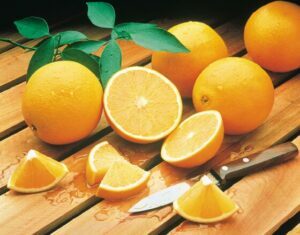 Visit our Navel & Grapefruit page. No Longer Available. Out of Season.